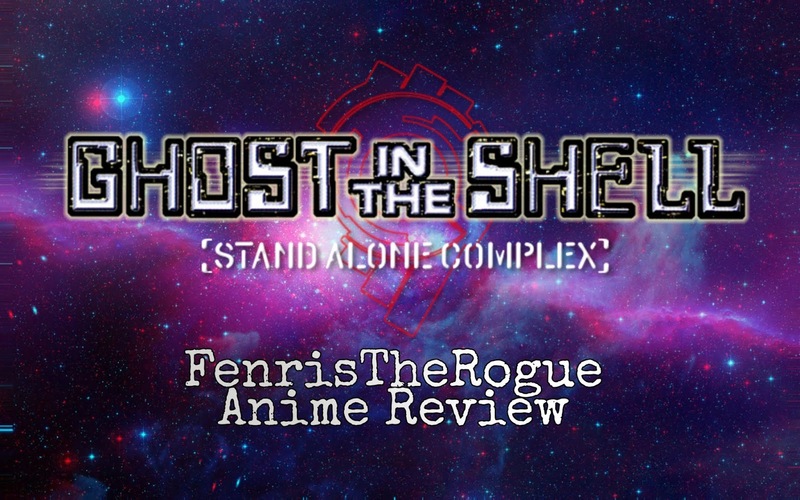 We're right back into Ghost in the Shell: Stand Alone Complex with episode five, Decoy. 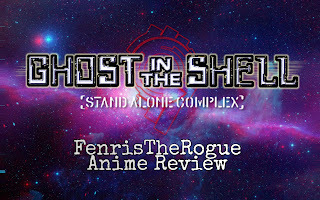 Click "Read More" for my full synopsis and review! The Home Affairs Ministry sign and building in a fish eye lense shot is what we're greeted with in the beginning of the episode. We listen in on a conversation between Aramaki and a large, very ugly and droopy faced balding man, discussing the hostility towards the police because of the suspicion of improper usage of audiovisual devices and a warning hinting at the assassination of the Superintendent-General of the Metropolitan Police live on the media. 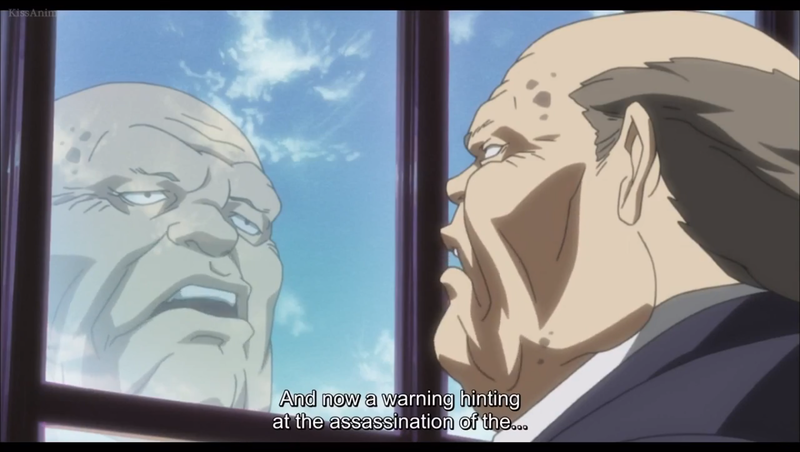 The balding man asks Aramaki to have Section 9 work with the police to find an eventual resolution... Hopefully. Motoko and Batou sit in a vehicle, awaiting the return of Aramaki. When he finally comes out... Yeah, he doesn't look very pleased. He tells them the police don't seem to be taking this seriously and he's gonna work them like dogs to earn their pay. 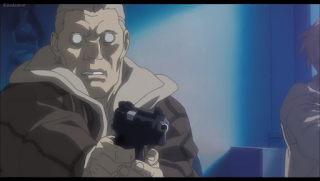 Batou barks, which honestly made me laugh more than it should have. We're now at Aramaki's desk with Section 9 seated as he discusses his opinion on the situation at hand. He believes that the whole appearance of the Laughing Man is faked by the police. The rest of the team is stunned by his opinion and they ask for his reasoning. He brings up an material witness, the son of a police officer. He was an activist for a time for a group called "Green Tower", part of the Human Liberation Front. He hid his past but was found out and fired from his job. The police think this man, Nanao, is the Laughing Man. They think because he was fired he would do everything that the Laughing Man has done. 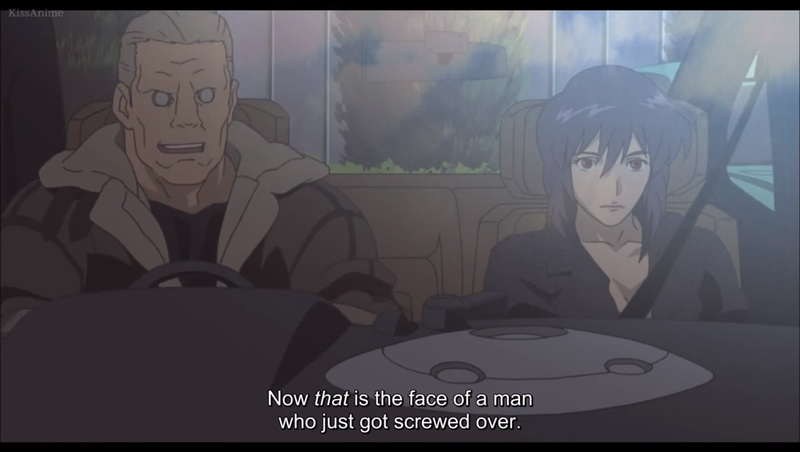 Motoko is at what I assume, I really honestly don't know, at a fancy whore house? 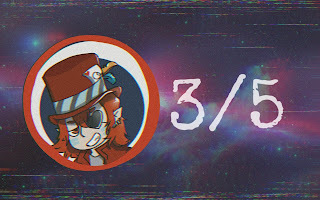 While looking through old broadcasts from the Laughing Man incident, she gives exposition to the audience about the incident. Like, for four minutes straight. Considering I want you to watch the episodes, I'd recommend just watching it for a complete understanding. She drives back to Aramaki getting into his vehicle, declares to being off the Nanao investigation and tells him she's gonna guard the Superintendent-General. She thinks Aramaki is right but something doesn't fit. She's gotta tail the Superintendent-General to find out. There's a scene where we see Nanao do mysterious stuff on multiple computers. After a couple transition scenes, such as Motoko standing guard and Batou and Togusa watching over Nanao while the police get antsy to catch Nanao we end up with Aramaki and the tech dude I've forgotten the name of again. They believe that Nanao has forced the people they interviewed to say good things about him due to hacking their cybernetics. Then we find out he wasn't in the apartment building that Batou and Togusa were watching, instead it was a decoy tricking them using a virus and Interceptors. 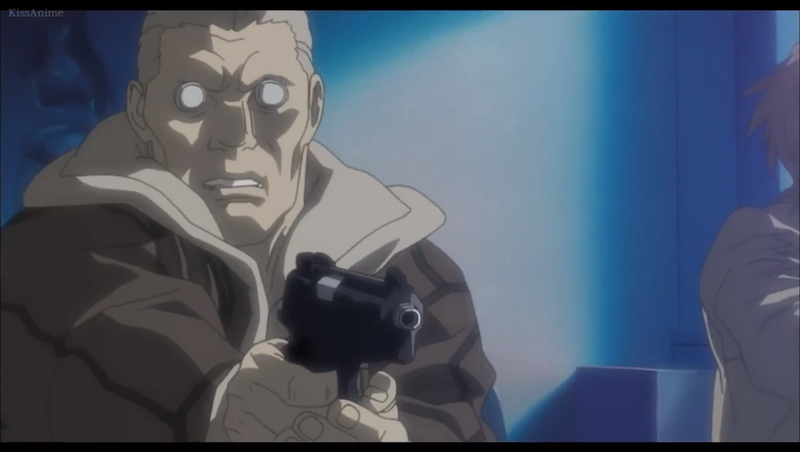 Batou jacks in an attempt to trace him and we see Nanao press a button... Doing what? We don't know... Yet. 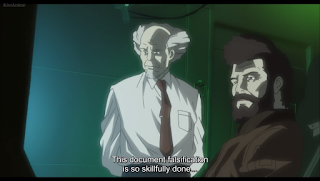 Final Thoughts:This episode, while enjoyable, also felt like a slog to get through once we hit the random talking to herself for no reason for four minutes Motoko scene but at least the blowup doll in the chair at the end was amusing. So solid three outta five here.